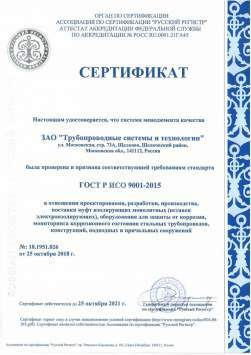 Certificate № 18.1947.026 compliance to the requirements of the international standard ISO 9001:2015. 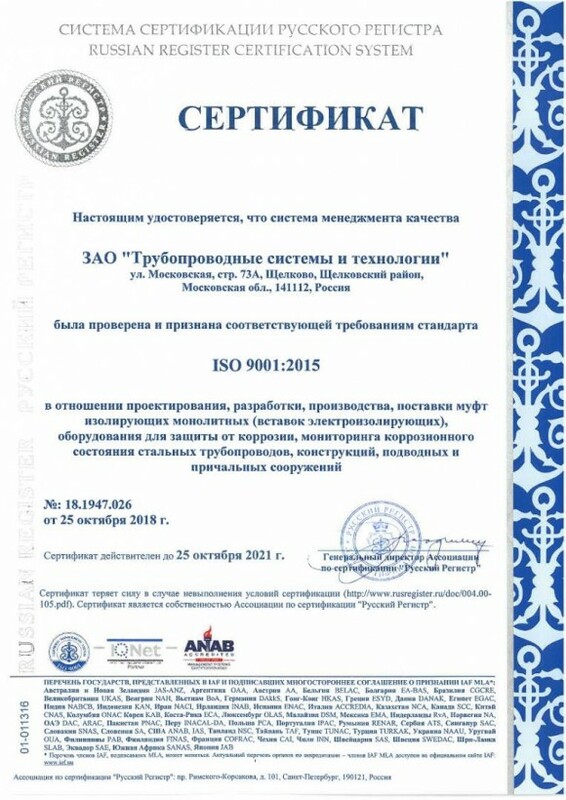 Validity period – till 25.10.2021. 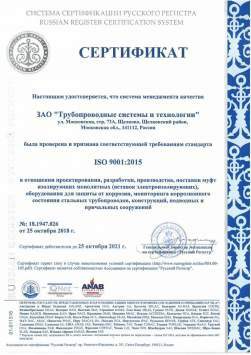 Certificate № 18.1951.026 compliance to the requirements of the national standard GOST R ISO 9001-2015. 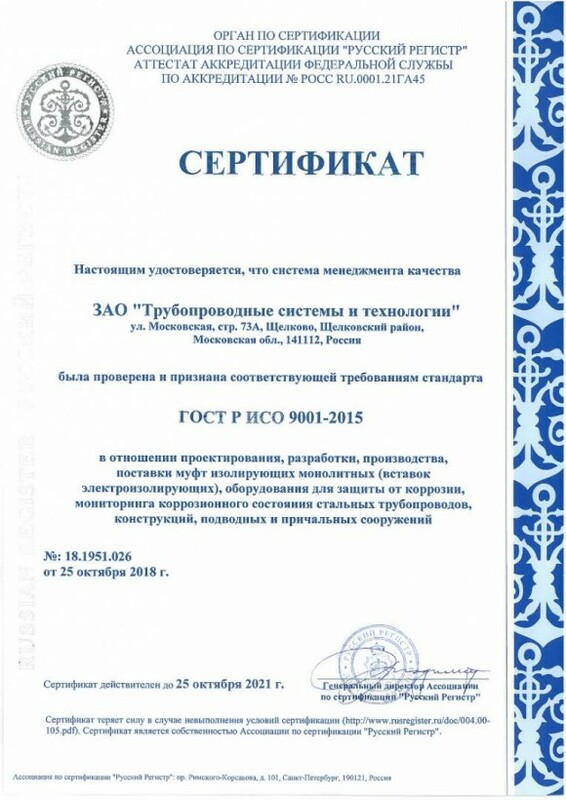 Validity period – till 25.10.2021.